Like I mentioned in my Exploring Bath Post I had stopped in a little Vegetarian café called The Green Rocket. This café is a multi award-winning little spot in Bath. It was pretty easy to find, providing tasty vegetarian food (which of course you can veganise.) I always like to be prepared when travelling to new places; to do research on the area and see if there are any vegan places or cafes that offer vegan meals. Of course in my research on Bath; The Green Rocket Café came up and it looked pretty amazing if I am honest. 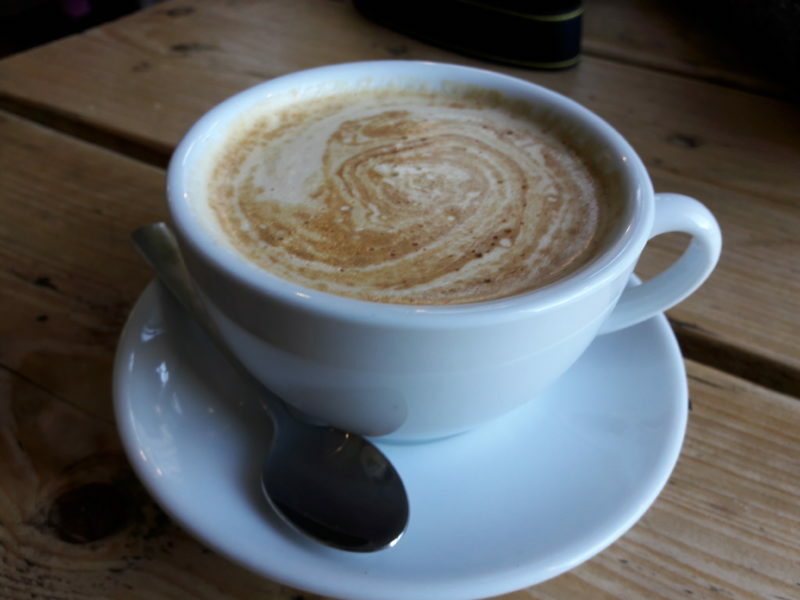 The café is located on 1 Pierrepont St, on the corner of North Parade and Pierrepont Street in the heart of Bath and has views of the Bath Abbey and Parade Gardens within walking distance. The café is open Monday and Tuesday – 9am to 4.30pm, Wednesday to Saturday – 9am to 4.30pm and 6 to 9.30pm, and Sundays – 10am to 4.30pm. Which is so good for a café, they offer a full menu from breakfast to dinner, coffees to alcoholic beverages. When I arrived, I was told that we would have a 15 minute wait – as it was so busy at that hour. A tell-tale sign that is was a good café to be wanting to dine in. Luckily enough we didn’t have to wait the full 15 minutes as there was a sharing table which me and my friend shared with 2 other girls. We were seated there on the ground floor by the door, given some menus to look through. As I did already research and seen their menu online I had a general idea as to what I wanted. 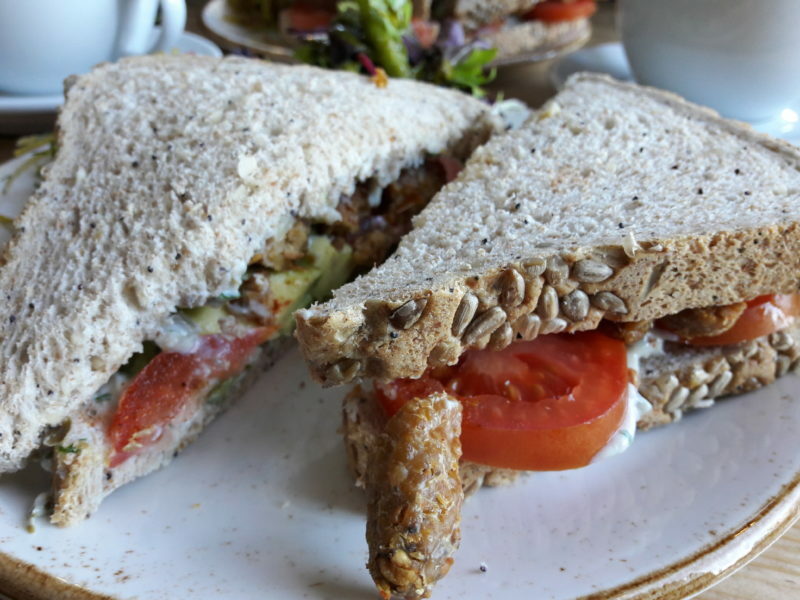 But quickly changed my mind when I saw ‘Tempeh Sandwich’ on this lunch time menu, I just had to try this as I have never had tempeh before. Even though I have been vegan for so long now. 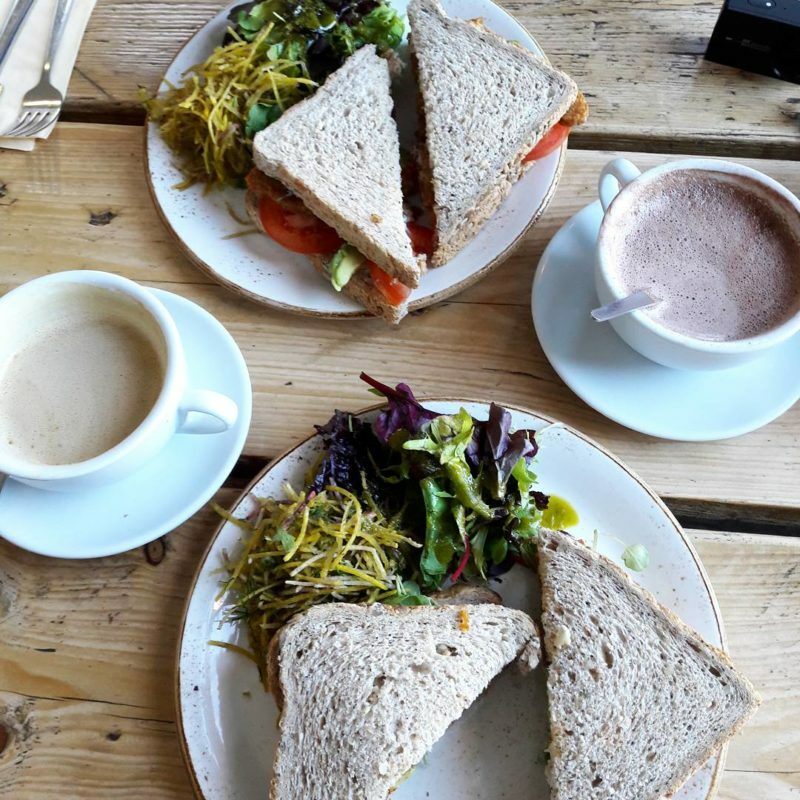 It wasn’t long until our waiter took our order; of course we both went for the tempeh sandwich and I ordered myself a soy latte to warm myself up after the cold hours out exploring the town. My latte arrived within 5 minutes of ordering which was great and highly needed. We did have a little to wait for the sandwiches as it was so busy in the tiny little café, but that was fine as me and my friend had a little chat about what we thought tempeh would be like and what we were going to do after the meal (we did end up going to Royal Crescent) but as some time past; our sandwiches arrived. They looked so delicious, I wanted to eat it right away but no I took some photos first so that I could share it with you lovely people. The sandwiches were of course loaded with tempeh along with watercress, avocado, tomato and vegan mayonnaise (I think you could also have this with regular mayonnaise- but of course I am vegan and would not add this) along side the amazing sandwich we got a side salad and beetroot ‘slaw. I was so excited to try this sandwich, just to be able to say I’ve actually tried tempeh. After the first bite I was in food heaven. Tempeh has such a unique taste that I am so in love with, it is so delicious. I didn’t expect it to taste as good as it did. Tempeh is an acquired taste, it is like a nutty, chewy texture. But for me, I enjoyed it and wanted a second sandwich it was that nice. Everything in that sandwich combined together was heavenly. Even the side salad and beetroot ‘slaw was tasty – especially the ‘slaw, I have no idea what dressing they had put on it, but it was scrumptious nevertheless. Definitely worth the visit here. My Sandwich and Soy latte cost me a total of £9.75. For a vegan meal in a café, this is pretty decent. 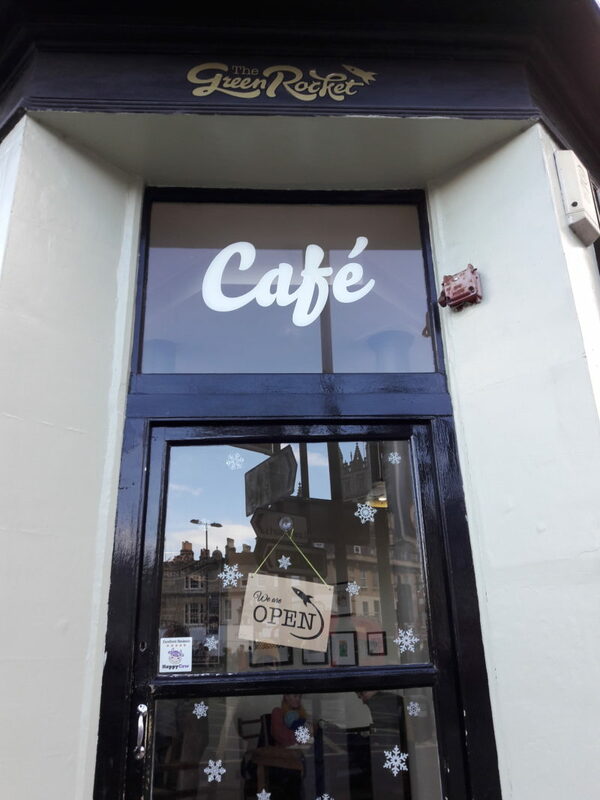 If you are ever in Bath then I would definitely recommend this café to you. Quick service, lovely staff, delicious food and stunning location. If I ever find myself back in Bath, this is one place I shall re-visit for food and a cuppa.